There is more to safe, fun, and enriching play than simply putting a number of dogs together into one group. We take our mission of providing a safe, fun, and enriching environment for the dogs in our care very seriously. How Often Does My Dog Need Daycare? Our experience has shown us that dogs need practice to fully enjoy their time in playgroups. For this reason, we do require regular attendance for all of our friends. • Must be current on vaccinations (Distemper, Rabies, Bordetella, and Parvo) Titers accepted. • Female Dogs over 7 months old must be spayed. First, we need to know about you and your dog, which begins with our enrollment form. 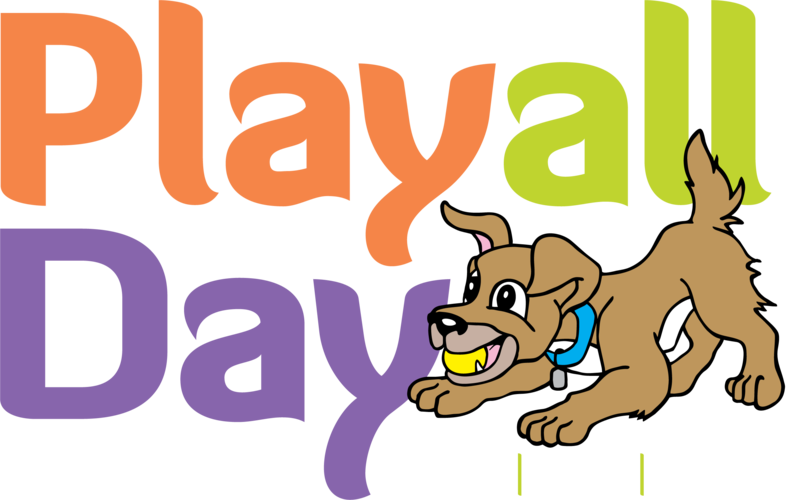 Once your paperwork is submitted and received, you should expect to hear from a Play All Day staff member within 24 hours to set up a time for you to come and tour our facility and for us to meet your dog. Monday – Friday 6:30 a.m. – 6:00 p.m.
Drop Off 6:30 a.m. - 9:00 a.m. Pick Up 3:30 p.m. - 6:00 p.m. Note: Daycare packages are purchased for one dog only and may not be used for multiple dogs. 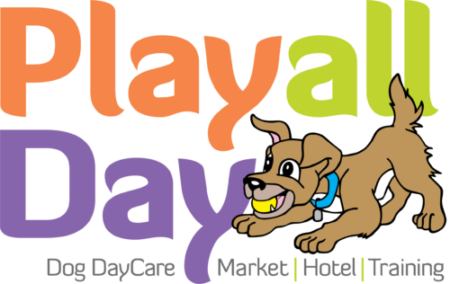 Note: Daycare packages purchased for 2nd, 3rd, or 4th dogs in the same household are eligible for discounts.